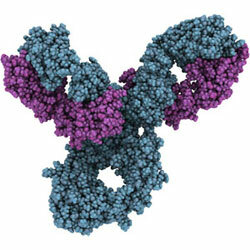 Antibodies are essential tools for therapeutic, diagnostic and research purposes. However, antibodies are often poorly characterized in terms of specificity and cross-reactivity. The recent Nature feature "Reproducibility crisis: Blame it on the antibodies" highlighted a number of serious issues caused by such poorly characterized antibodies. A high cross-reactivity or frequent off-target effects are often caused by less characterized antibodies with very short epitopes, epitopes with poor sequence conservation, non-specific protein binding or complex polyclonal responses. This raises not only the urgent need for new and highly specific antibodies, but also for high quality solutions for in-depth antibody validation and cross-reactivity testing. To address this topic, we release a new application note describing the in-depth characterization and validation of a new recombinant human monoclonal anti-c-myc antibody "Hypermyc" in comparison with the well-known anti-c-myc tag monoclonal antibody 9E10. Based on combination of high resolution PEPperMAP® Epitope Mappings and PEPperMAP® Epitope Substitution Scans, this new application note demonstrates the in-depth characterization of antibody epitopes and a detailed view on antibody cross-reactions and off-target effects with a specificity on the amino acid level.